Real estate watchers are excited about an iconic property that has just hit the market. 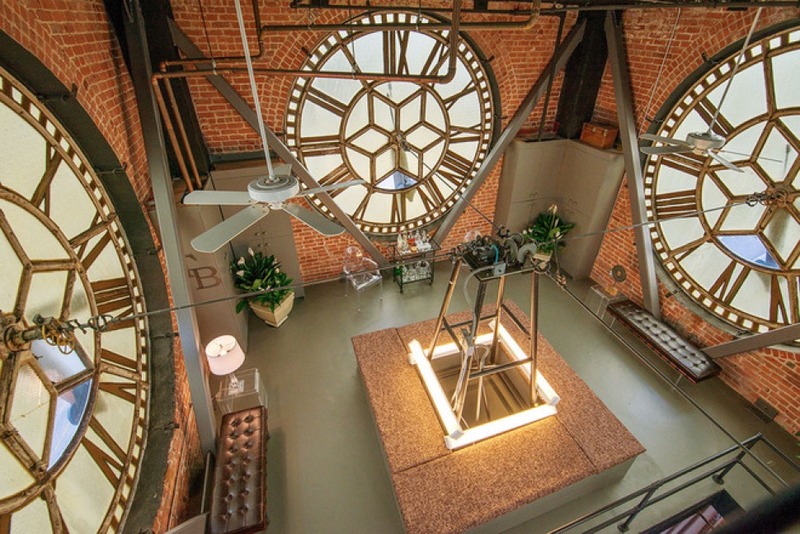 The penthouse of San Francisco's Clock Tower building at 461 Second Street in SoMa has been listed for $8.5 million. Prospective buyers would only be the second to live in the two-bedroom, three-story space, which was converted into a residential penthouse in 1993. And while they would get to enjoy close proximity to the clocks, they would not be responsible for their maintenance; that falls on the building's Home Owner's Association. The 94-year-old building was originally the home of Schmidt Lithograph Corp., the biggest employer in the city at the time, according to SFGate. The owner told the publication he never got tired of watching the hundreds of thousands of cars commuting across the nearby Bay Bridge each day. "It's fun to be part of this living art," Tom Burkhart said. Sotheby's agents Rob Levy and Eric Turner have created a special website for the listing, complete with music. A brokers' tour is scheduled for Thursday, with additional showings available by appointment.